Frequently Asked Questions (FAQs) • ProLabel, Inc.ProLabel, Inc.
Feel free to give us a call at 770.844.9344. We're open Monday-Friday 8am - 5pm, ET. You may also submit a question via our contact form. We're confident about providing a finished product that will certainly equal and probably exceed your existing quality standards. What is your turnaround time for live orders? Our standard lead time commitment is seven days, and we do fulfill rush order requests in certain situations. Do you have an in-house prepress department? We provide in-house prepress and sales and marketing teams using systemized processes designed to simplify your label, film, and shrink sleeve purchasing. How quickly can I receive a quote? Usually within 48 hours, once we receive all the necessary information from you. You can start the quote process here. I'm having trouble with my production runs or lead times. Can you help? Absolutely. We provide consultative field support to help you address production, application, and other concerns. Seeing is believing. We will gladly provide preprinted samples, but would prefer to run a live sample of your project to demonstrate our quality and capabilities. What about multiple SKUs, die-lines and color matching specialty products? Give us a call at 770.844.9344! Your sales rep will have a quick discussion with you about your project needs. 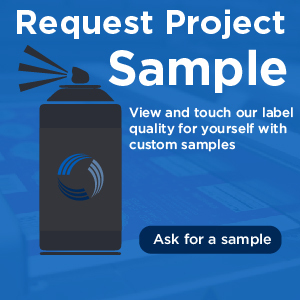 The best way to move forward is for us to provide a sample of your label or project. We work with you and your art/graphics/marketing team (as needed) to verify the specifications for the sample. We then provide a link that allows a quick upload of your finished art file, the file's outlined or packaged fonts, and the high-resolution photos and images in the file. We will promptly produce and send your sample(s) for review/testing. From there, we provide a quote or answer any additional questions you have. Thank you in advance for trusting ProLabel, Inc. We look forward to working with you!